As we all know, Google tracks each and every activity through its services and device. We use Google account on our Android Device, Google Maps, Google Voice Search etc. Or we can say Google knows us better than our relatives and friends. Am I right? Google also allows you to know, What Google knows about you. You can see all your data, download and even delete your data from Google also. Don’t know? Let’s see how to permanently delete your Google History or how to remove yourself from Google? 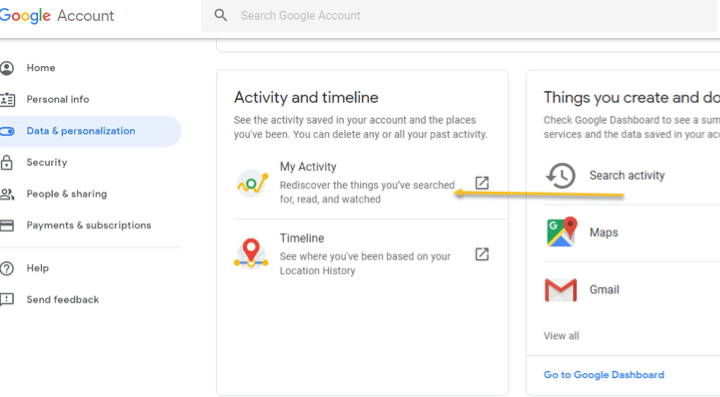 If you are searching for the process of how to clear my Google History, follow the below steps. Step 1: Open Google’s Home page in Chrome. Step 4: A drop down box will appear. Step 5: Now click on “My account” that is present right below your account icon. Step 6: You will be redirected to a page where there are different options on the left side. Step 7: Click on Data and Personalization and this page will open up. Step 9: You will be re-directed to another page with some promotional slides, skip it. Step 10: Now click on the three vertical dots present at the top right corner. Step 12: Now you are redirected to a page to select the time period from which you want to delete the history. Step 13: Click on the triple dotted vertical line and then click delete. 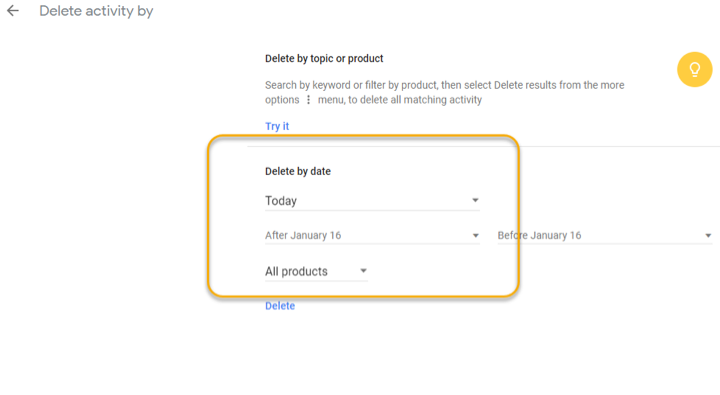 Step 15: If you want to remove your personal information from Google, then click on delete directly. The answer to the question “how to delete browser history” is pretty simple now.